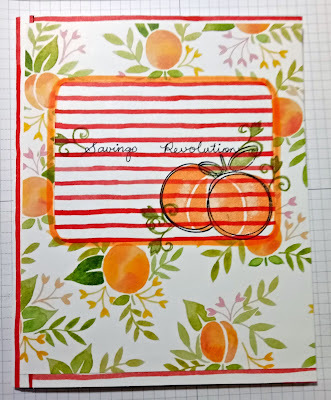 Susan's Saga: Customise your Notebooks with Fruit! This little notebook used to be a school exercise book. Now it is a customised notebook, decorated with the Fruit Stand Suite 😎It was so easy and quick to do! I am sure if you have ever been in school yourself or had children in school, you would have covered exercise books,, right? That's all I did with this. Well, I adapted my covering a little. As designer series paper isn't quite large enough to cover a whole book, I cut separate pieces for the front and back, and cut a strip that I scored down the middle to make a cover for the spine. 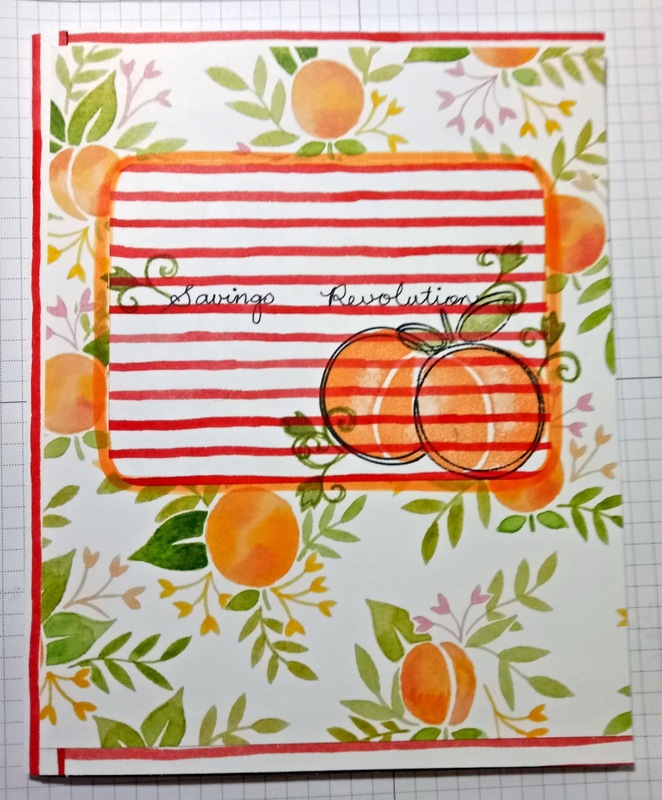 I did add thin strips to the borders of the covers before putting my fruit piece on top. I did cut another piece form the lined designer series paper in the pack and made a 'window' to write on. It's kind of like making a card too, I think. I added some shading to the striped piece with a Stamp 'n Write marker. I matched the colour to the colours in the designer series paper. I hand-wrote the name for this book in black journaling pen. You could stamp it with an alphabet stamp if you wished. Just think of the possibilities!! Happy Stampin'!